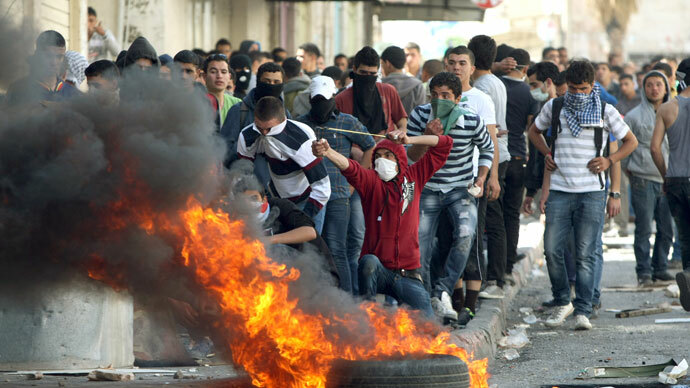 The IDF responded with flash grenades after Palestinians, gathered for a funeral in Hebron, hurled rocks at them. Thousands came to farewell a prisoner who died in an Israeli jail and two teens reportedly shot by the Israeli soldiers. Thousands-strong crowds have joined the funeral procession of Maysara Abu Hamdiyeh, 63, who died of cancer on Tuesday while serving a life sentence in an Israeli jail. The mourners blamed Israel for the prisoner’s death, as he had reportedly been refused release for treatment. 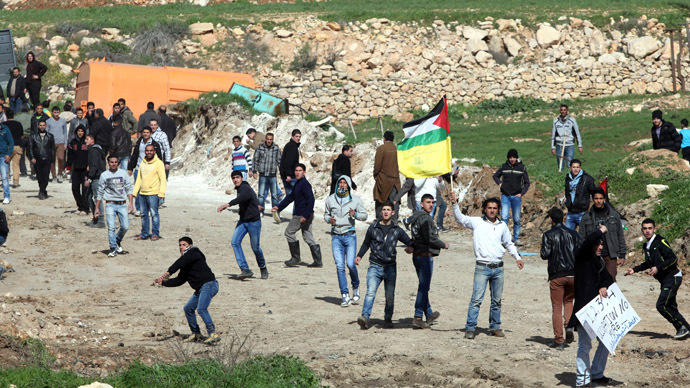 Clashes broke out as Palestinians threw rocks at the IDF and masked men fired live Kalashnikov rounds in the air, RT’s Irina Galushko reported from Hebron. 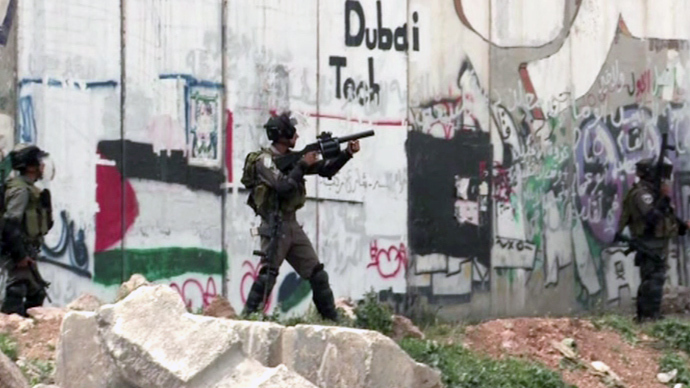 It was mostly teenagers throwing stones at the Israeli soldiers, taunting them and “trying to elicit a round of fire”. The troops retaliated by firing rubber bullets and flash grenades, and the fire intensified as protests grew. At least 40 people have already been wounded in Thursday clashes, Galushko tweeted. The death of two young Palestinian protesters shot by Israeli live fire in the northern West Bank on Wednesday night sparked further anger and protests. The two killed, Amer Nasser, 17, and Naji Balbisi, 19, were being buried near Tulkarem on Thursday. 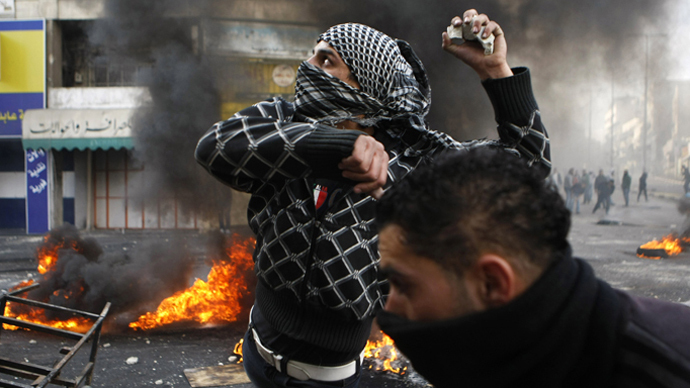 The IDF said they were part of the Molotov cocktail-throwing group dispersed by live fire after Israeli soldiers “felt their lives to be at risk,” Jerusalem Post reported. According to AFP, around 6,000 Palestinians joined the killed teens’ funeral at their home village Anabta, as local shops and schools remained closed in mourning. 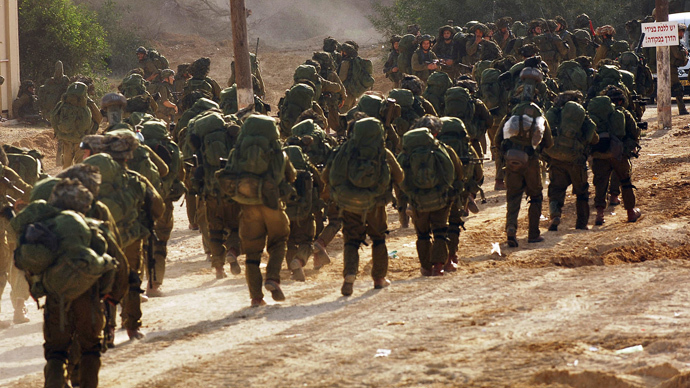 “O martyrs rest, rest. 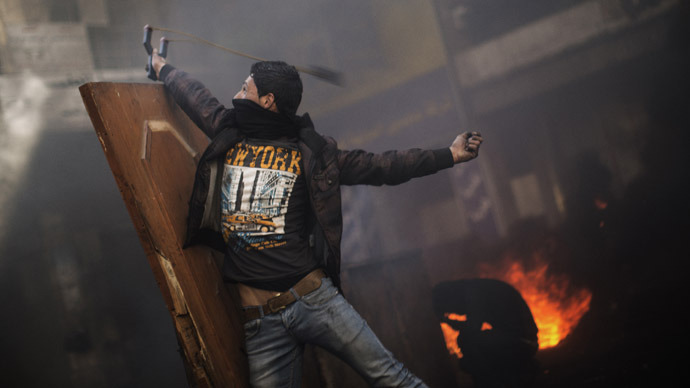 We will continue the struggle,” the crowd of mourners chanted, as they followed the bodies wrapped in Palestinian flags. “From the beginning, we have said we want stability and calm. Despite that, Israel on every occasion is using lethal force against peaceful young protesters, and peaceful demonstrations are being suppressed with the power of weapons. This is not acceptable at all,” Abbas said.